The Baha’i Faith is a new kind of faith. It is a religion that makes sense of our modern world, offers practical hope for the future, has no professional clergy, and unites you with like-minded people across the globe. Keep your finger on the pulse of what is happening at WhyUnite? Join our mailing list and never miss any of our free resources and new products. Investigate this new world religion through questions and answers. 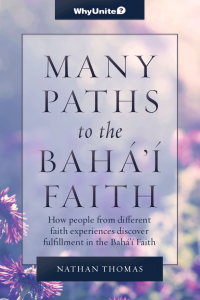 Explore over 80 frequently asked questions about the Baha’i Faith. Learn about practicing the Baha’i Faith in every day life and explore its rich and inspiring history. Take two unique courses with over 119 short, easy to digest classes available online for Free*. 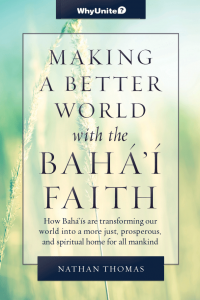 Check out our introductory talks on the Baha’i Faith. View three talks that are each divided into 6 short videos available online for FREE*. These are designed to accompany the main title books. Watch people from a variety of backgrounds share their stories of embracing the Baha’i Faith. Explore over 40 short interviews of people from Christian, Jewish, Atheist, Buddhist, Islamic and Baha’i backgrounds. 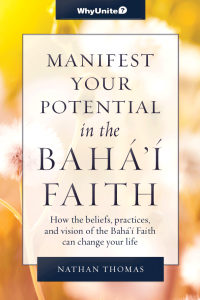 Expand your Baha’i library with all new original books, compilations and videos about the Baha’i Faith. Our books include stories, analogies and quotations that bring to life this world faith with a fresh perspective. Our mission is to provide you a library of compelling introductory material about the Baha’i Faith. We believe that every individual has a unique path they must follow in order to find the truth, meaning, and purpose that will help them reach their fullest potential in the world. We also know that everyone has different questions about faith, life, spirituality, religion, and how these elements can enrich and inspire us in our lives. And lastly, we know that different people learn in different ways, and that people like to explore deeper topics through different approaches. We at the WhyUnite? Project have worked hard to provide you a menu of options to explore this new world religion. We have created books, compilations, video talks, interviews, events, and more to help introduce this faith to you. We hope you enjoy this content and that you share it with your friends and family. We’re constantly looking for ways to improve our content and our messaging. If you have suggestions, please feel free to send them to us at our contact page. This project is an individual initiative by a few members of the Baha’i Faith. The Baha’i Faith is a new world religion founded by Baha’u’llah. If you would like more information about it, or if you would like to contact the Baha’is of your area, visit our About the Bahá’í Faith Page to learn more.